Most people known what constipation is because almost everyone experiences it at some point. The inability to eliminate solid waste, or the experience of straining while on the toilet, are hallmarks of the unwelcome condition. Causes include changes to your regular schedule, medication, a sedentary lifestyle or a low fiber diet. Sometimes constipation is the secondary condition of other ailments or changes, such as pregnancy, irritable bowel syndrome or underactive thyroid. 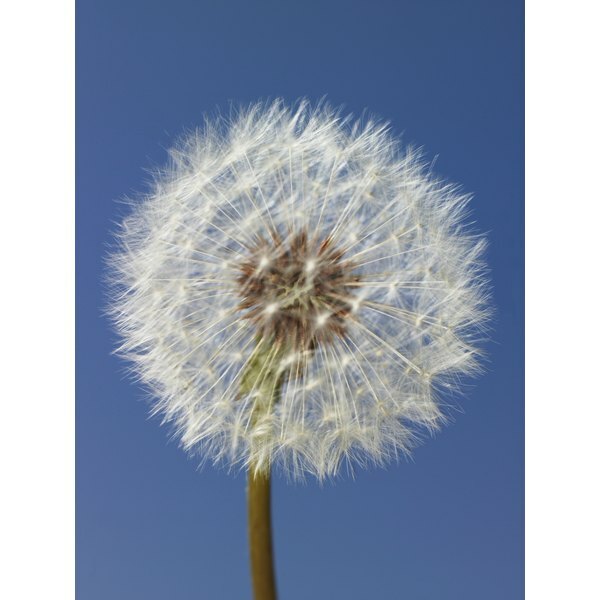 Odds are, if you have a square foot of lawn, you have dandelions. The persistent weed makes up for its landscaping intrusions by contributing nutrients and medicinal compounds to passing foragers. While the leaves possess diuretic properties useful to people retaining water, the roots offer mildly laxative benefits, as well as contributing to general gastrointestinal and digestive health. In fact, dandelion root appears to encourage the growth of beneficial bacteria in the digestive tract. Some “laxative teas” contain licorice root, while licorice root capsules may tout the product as a gentle laxative. Yet little scientific basis, or even folk medicine tradition, exists for using licorice for constipation. Its primary traditional use in Chinese medicine involved balancing the medicinal properties of other herbs, notes New York University’s Langone Medical Center. The whole root may be useful for coughs and respiratory problems, while a modified form known as deglycyrrhizinated licorice shows promise for treating peptic ulcers. Because licorice root is a demulcent, the herb might coat your digestive tract, in turn encouraging easier elimination. Yet these demulcent properties in licorice root are traditionally associated with soothing indigestion, rather than specifically providing laxative benefits. Additionally, far more drug interactions and side effects are associated with licorice root than exist for dandelion root. On the other hand, dandelion root is specifically known as a mild laxative, according to the University of Maryland Medical Center. Traditional ways of utilizing dandelion root for constipation or other digestion issues include boiling the dried root for five to 10 minutes and sipping the strained, slightly cooled root tea up to three times a day while the problem persists. Alternatively, look for capsules or tinctures made from dandelion root in health food stores and follow the dosage directions on the label. Ask your doctor before using dandelion root or any other home remedies for your constipation. Psyllium, which provides fiber to encourage elimination, comes from the gel-coated seeds of the tall herb Plantago ovata. Glucomannan, another natural fiber laxative, derives from the roots of the konjac plant. Other fibrous herbs suggested by UMMC for constipation relief include flaxseed, fenugreek and barley. Senna, a short-term laxative herb, works not by adding fiber, but by stimulating the muscles of your colon wall. The herb is considered gentler than its closely related cousin, aloe. Aloe may cause cramping and pain when used internally.